A street brawl in Oslo late Saturday night turned into a violent attack on police that has shaken local authorities. The police seemed to lose control over aggressive youth who assaulted officers and even kicked a police dog. The conflict turned into a major brawl out on the busy street. Police were called to the scene, and quickly called for reinforcements themselves. Inspector Johan Fredriksen of the Oslo Police District said that several of the youth involved refused to listen to police officers who “repeatedly” told those involved to disperse. “When these instructions weren’t followed,” Fredriksen told NRK, an officer with a police dog “therefore chose to push people back with one of his feet to mark that they should leave.” Police officials claim that’s a less violent means of breaking up menacing crowds than using pepper spray, clubs or the dogs themselves, but in this case, youth literally kicked back. Instead of retreating, several of the youth responded by punching and kicking police officers and at least one of the police dogs. Fredriksen said the dogs had been brought to the scene because the situation was initially viewed as “complex” and with a “real danger” that the violence would escalate. Several of the youth involved were arrested and charged with assaulting police officers. Police reported they had control over the situation at around 1:30am on Sunday. Gjermund Stokkli, operations leader for the Oslo Police District, said it’s “unusual” when a crowd’s aggression turns against the police. He said police officials think it’s “extremely serious” that so many youth refused to listen to the police. 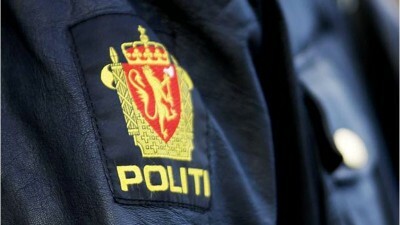 As a rule, Stokkli, told NRK, aggressive people calm down when police arrive.